As doctors, we are driven to find the evidence behind the medical care we provide patients. Usually this is not a problem and is what is expected of us. 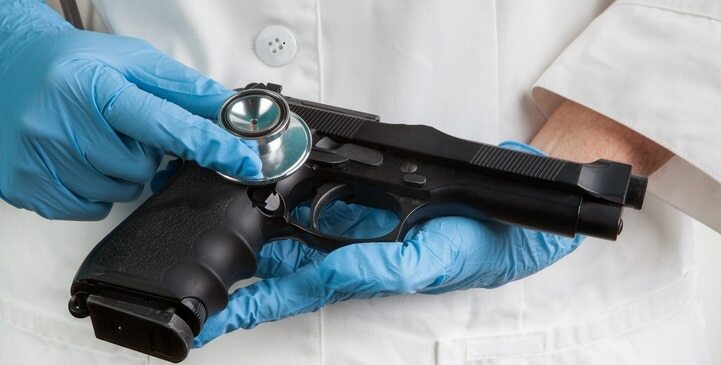 However, last week a research study published in the Annals of Internal Medicine came under fire by the National Rifle Association (NRA).They issued the statement: “Someone should tell self-important anti-gun doctors to stay in their lane. Half of the articles written n Annals of Internal Medicine are pushing for gun control. Most upsetting, however, the medical community seems to have consulted NO ONE but themselves”. In turn, doctors took up arms and fired back on social media and several national medical organizations issued position statements on gun violence. In fact, in response to the position paper by the American College of Physicians (ACP), the American Foundation for Firearm Injury Reduction in Medicine drafted an open letter to the NRA on behalf of the medical community that is being widely circulated and signed by many. This letter basically tells the NRA that gun violence is OUR lane and that we are not anti-gun but rather anti-bullet hole. It lays out the reasons why this is our lane. As doctors and others in the medical profession, I doubt that there is anyone who never treated a patient harmed by guns. Whether or not the shooter should have the gun is not really our concern: that is what the law profession is for. We are the ones that stop the bleeding, extract the bullets, crack open the chests and try to start the non-beating hearts. Often, we know our attempts are in vain, but we try anyway. And when the victim dies, we are the ones who need to inform the families that their loved one have died. Often, they ask questions that we have no answers to. The mental anguish of the families never goes away, and we are the ones who treat them when it gets too much. For the ones that survive their bullet holes, they don’t magically become a healed person again. They may have permanent physical damage: loss of organs, spinal cord injuries, etc. They may suffer in pain for years or even decades. Again, doctors are the ones who are called to take responsibility to ease this suffering. Even if no physical scars remain, the emotional ones can be quite debilitating. When a bullet leaves a gun, the harm can last decades, and doctors are the ones that answer the call to help put the victims back together. We are the ones that see the broken, bleeding bodies of the ones who don’t survive. We are the ones who see the children caught in the cross-fire, who didn’t get a chance at life because someone did not care as much for the life of a child as their right to carry a gun. There are doctors standing on all sides of the political agendas surrounding the right to carry arms. But, we never neglect our duty when the gun goes off, no matter the victim or the shooter. Medical professionals are clearly in the right lane when we speak out about the atrocities we see caused by guns. And we won’t stop speaking out and we won’t stop conducting scientific research around gun violence. Dr. Linda Girgis MD, FAAFP, Editor in Chief at Physician’s Weekly, is a dedicated board-certified family physician in private practice in South River, New Jersey and its surrounding communities. 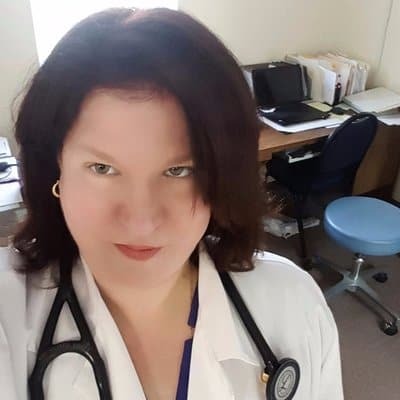 She is a clinical assistant professor at Rutgers Robert Wood Johnson Medical School as well as a faculty member of CME courses at Harvard Medical School. Excellent response to the NRA. Good for you, and good for our profession in caring for the needs of gun violence victims.